A bloated stomach is an extremely common digestive complaint – estimated at between 10% and 30% of adults experience this from time to time. However for some, abdominal bloating is a common occurrence, sometimes ongoing issue, and can result in pain and distress. Swollen abdominal area which can sometimes spear right to the chest area. Feelings of fullness. Pain or cramping in the stomach. Excess wind can result in flatulence, burping etc. Rumbling noises. Eating Too Much or Eating Too Quickly: Eating too much is obvious to cause stomach distension and eating too quickly results in increased amount of air that is swallowed. Stomach infections from E coli, H pylori etc can cause increased gas production resulting in bloating. Lack of Fibre: Fibre is absolutely essential for the digestive system to move food within the gut – a lack of fibre results in the slow movement of food, sometimes constipation, which causes bloating. Diets High in Cruciferous Vegetables (such as broccoli, cabbage, sprouts and cauliflower): These vegetables contain a complex sugar called raffinose which causes excess gas during its digestion leading to bloating. Food Intolerances: Some people struggle to digest certain foods such as lactose in dairy products and fructose in fruits. This can lead to excess gas, nausea and bloating. PMS: In the days leading up to menstruation, many women experience bloating and abdominal pain. The reason is that a couple of weeks before a period is due, levels of progesterone start to fall – this is important for the uterus to shed its lining which is what causes menstrual bleeding. However this decline in progesterone causes oestrogen dominance which is the female hormone that causes water retention. It is this water retention that results in bloating, symptoms of slight weight gain etc. Lack of Beneficial Bacteria: We know the benefits of probiotics – for immunity and for preventing infection however the good bacteria in the gut are also responsible for breaking down food and they supply vital energising B vitamins in return. When the balance of these has been disturbed, such as through antibiotic usage, food begins to stagnate resulting in bloating. 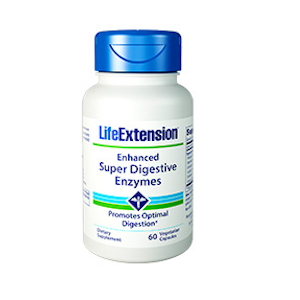 Lack of Digestive Enzymes: As we age, our bodies produce less digestive enzymes. Digestive enzymes act as catalysts working to break down food into smaller bits very quickly so that our bodies can extract vitamins and other nutrients from these which are essential for our wellbeing. So our digestive system contains enzymes that break down proteins (proteases), carbohydrates (amylases), fibre and fat (lipases). 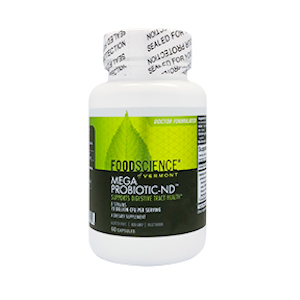 I would also recommend using a quality probiotic because research seems to point to the fact that most of us simply do not have sufficient amounts of these beneficial bacteria in our gut due to antibiotic usage, toxins from our foods, stress and other factors. A quality probiotic to aid digestion would be Mega Probiotic ND (£19.50) which provides eight strains of acid resistant bacteria which can colonise the gut and perform their myriad of roles including helping to break down food more efficiently. 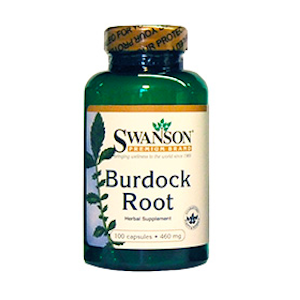 2/ If we are talking about period bloating then we have to address water retention and to do this I would recommend taking Burdock Root capsules (£11.50). We have talked about burdock as a cleansing supplement for acne but this herb works to stimulate the kidneys which work to remove excess water and sodium from the body. When you eliminate water, you also eliminate many minerals such as magnesium, potassium and calcium. Burdock is rich in both major minerals and trace minerals so it helps replace these whilst eliminating the excess water. 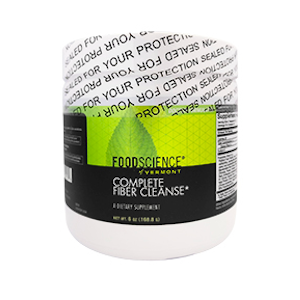 If constipation is the issue causing recurrent bloating then use Complete Fiber Cleanse (£21) to provide soluble fibre and insoluble fibre - if consitipation is recurrent please get your thyroid checked. Reduce gas producing foods such as cabbage, sprouts etc and consider replacing these with cucumbers, asparagus, avocados and papaya. Reduce salt intake especially before menstruation because excess salt causes water retention. Chew food slowly which helps reduce amount of air taken in. Cut down of carbonated drinks for obvious reasons. Drink ginger and /or peppermint tea which can help digestion. Ginger enhances digestive enzyme production whilst peppermint relaxes muscles in the intestines allowing for ease of movement of food and gas. 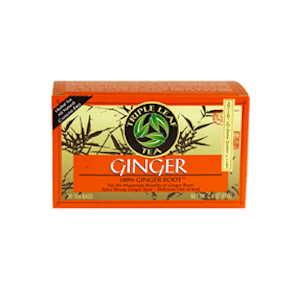 There are many ginger teas on the market but the one that I recommend is Triple Leaf Tea 100% Ginger Tea (£5). Heavy legs are often described as being weighty, stiff and tired. You feel like you are carrying extra pounds when you walk or lift your legs. The symptoms may simply be a heavier feeling or it can result in cramps, tiredness of legs etc. Poor Circulation: Our arteries contain valves which open and shut with the rhythm of the heart so when the heart beats this pushes blood and the valves open. In the relaxed phase, the valve shuts and this whole cycle continues with each heartbeat. As we age, the valves begin to lose their elasticity so they don’t open and shut sufficiently resulting in pools of blood accumulating in the lower limbs which results in heavier legs. Varicose Veins: The same as above but at a certain point in time, the blood is accumulating causing the veins to bulge and have a bluish tinge. Of course varicose veins may also be caused by hormonal fluctuations during menopause, pregnancy because of extra pressure of uterus and genetics. Peripheral Arterial Disease (PAD): This is a specific form of cardiovascular disease where fatty deposits build up in the walls of the arteries. So blood flow is impeded and there is a lack of oxygen and vital nutrients to the leg tissues resulting in crampy, tired and heavy legs. High blood pressure, high cholesterol, diabetes and smoking are all risk factors that lead to PAD. Overtraining Syndrome: When you train to the excess and don’t give the body sufficient time to recover, a number of concerns can occur including heavy legs. Heavy legs are particularly common in runners and cyclists who have overtrained because the muscles don’t have time to repair and are cramped up not allowing blood to flow so it pools up. Restless Legs Syndrome: Uncomfortable feeling of throbbing, aching, crawling and heavy, this syndrome is relieved when you move around. There is a genetic link, iron deficiencies and how the brain processes signals. I think that most people experience tired, heavy legs from time to time – you may have sat down for too long or worked out too hard. Seek medical advice if this is a constant occurrence because it would be prudent to rule out the arterial disease. For the majority however, heavy legs is associated with poor circulation for whatever the reasons and to this extent this majority would benefit from the use of a supplement called Diosmin Plus (£26). Diosmin 95: Diosmin is a bioflavanoid that is known to help in the repair processes of soft tissues within the body. In this case the diosmin is microionised to reduce its particle size so that it can actually reach the veins and the valves so that it may help in the repair process. Horse chestnut: Known to enhance lower limb circulation. Gotu Kola: Works on the lymphatic system which stores toxins and can get stagnant leading to heavy legs. Ginger: This warming herb enhances circulation but it is also a great for digestion and so enhances the availability of the other herbs within the formulation. Pine Bark: Helps to slightly thin the blood but is also a great anti-inflammatory herb working to protect the integrity of our capillaries and veins. 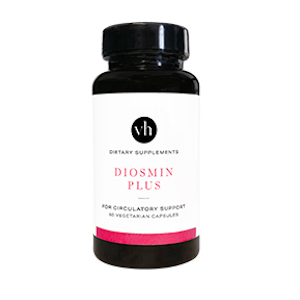 So Diosmin Plus is perfect for those with: Poor circulation, heavy legs, varicose veins, spider veins, restless legs, night cramps, chilblains during the winter months or simply having cold hands and feet in summer and haemorrhoids. If you are taking blood thinning medication such as warfarin or heparin then this is not the supplement for you, otherwise it is perfectly safe to take on an ongoing basis. Topically, don’t forget Mrs White’s Legs In the Air (£12) – eleven ingredients that work effectively to encourage healthy circulation in the legs! Has a hint of a tint for legs that have not seen the light of day for some time and 50ml means you can take in your handbag and on the airplane. Mention the word cold sores and many people simply recoil. Cold sores are due to the herpes simplex virus which is highly contagious which explains why seven out of ten people catch this virus. Once you have caught the virus it then resides in your body lying dormant for the rest of your life. It lives around the nerve endings and then for reasons we will discuss later, it wakes up and the result is a breakout. Cold sores usually look like small blisters which are often red, raw and inflamed. There are two types of herpes simplex virus, called Type 1 and type 2, but the most common cause of a cold sore is due to Type 1. (Incidentally Type 2 is responsible for genital herpes). They often recur in the same place each time. The virus is spread from person to person by close contact so it can be by kissing or through contact with saliva but it can also be through the cells that are shed as the cold sore dries up. The most contagious period is when the sore is active but the risk lessens considerably once the sore begins to blister over. However you can still catch the herpes virus even when there is no obvious sore because sometimes this virus simply sheds with saliva. It is no wonder that seven out of ten people have the virus and some estimate nine out of ten! You cannot catch the virus by sharing towels, cups or using the same lipstick! Why Does It Suddenly Wake Up? Fevers, cold and flu sometimes seem to awaken the virus. Ultraviolet radiation – exposure to sun. Low immunity possibly due to a poor diet. Stress. No known reason – idiopathic. A diet that lacks fruits, vegetables and complex carbohydrates and focuses instead in trans-fats, sugar and meat may comprmise your immune system leading to cold sores breakouts. It has also been found that arginine, an essential amino acid, appears to trigger the onset of a cold sore in many cases. Seeds such as pumpkin seed, a superfood but one that is packed full of arginine. Nuts such as walnuts, peanuts and hazelnuts. Spirulina a superfood often added to smoothie and shakes. Oats and Wheat tricky to avoid as found in many foods. People can still enjoy these foods as long as they consume these in moderate quantities. 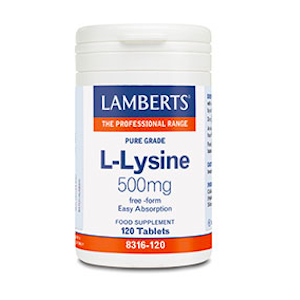 L-Lysine (£10.45): This is an amino acid that has been found to inhibit arginine and so helps with preventing recurrent cold sores. Take 500mg a day if you suffer from recurrent sores say three or more times a year. Otherwise, take 2000mg per day if you just suffer the odd time. Oat Kernel Oil: A humectant which locks moisture in and reduces its loss. 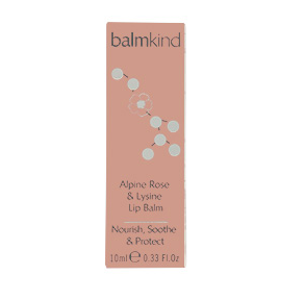 Pomegranate Seed Oil: Conditioning oil for the lips and an excellent antioxidant to protect the lips from environmental damage. Magnesium is involved in over 300 biochemical reactions within the body which is why current estimates are that 70% + of the population may be magnesium deficient. One of the key roles of magnesium is to relax muscles and nerves and so the whole body including the brain is in a more relaxed state. Magnesium is also a key mineral required in the production of the sleep hormone melatonin. So magnesium not only helps you sleep but it also helps you to achieve better sleep quality and more restful sleep. Unfortunately, magnesium tablets and capsules are hard to digest, for some people hard to swallow and higher strengths can cause diarrhoea. 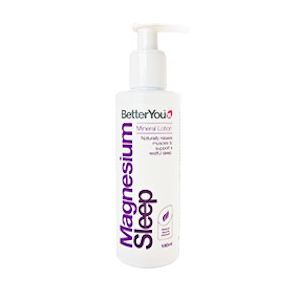 Enter the Magnesium Sleep Lotion (£9.95): These contain a form of magnesium called magnesium chloride together with chamomile and lavender both known for their calming properties. 5ml provides 150mg of magnesium (adult) and so that is a really good amount since 500mg is the maximum recommended amount from tablets and capsules. 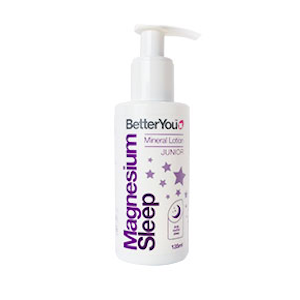 Magnesium Sleep Lotion Junior (£8.95) version simply provides lower amount and suitable for 1 year and above. Many a holiday has been spoiled with the rash of prickly heat. Also known as a heat rash or miliaria, prickly heat is an uncomfortable, red, itchy rash that commonly develops across the chest and arms. It occurs most in hot, humid weather. The rash appears at tiny spots or bumps which look like blisters surrounded by red skin. Blocked sweat glands or sweat becoming trapped underneath skin. Excessive sweating increases the chances of prickly heat. Babies are much more prone to prickly heat rash because their sweat glands are not fully functional. Exposure to sun seems to trigger this especially if you are not using sun protection. Being overweight can be a contributory factor because this may lead to excessive sweating. According to the NHS, prickly heat is not a serious condition and the rash usually disappears within a few days. But for many sufferers, this rash is itchy, inflamed and very uncomfortable and using calamine lotion simply does not cut it. 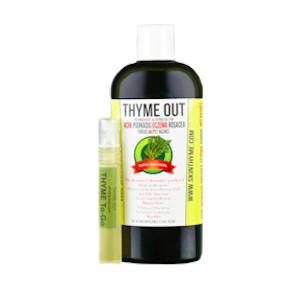 I would recommend Thyme Out (£18) which is a very soothing water based solution to calm down the inflammation. What I have found has really worked with our customers is the use of Stinging Nettle Root capsules (£14.95) which work to block histamine, responsible for the rashes. 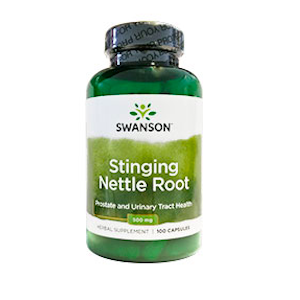 I have found that using nettles prior to the holiday, this supplement tends to minimise the occurrence of prickly heat. And remember to wear SPF cream or lotion. 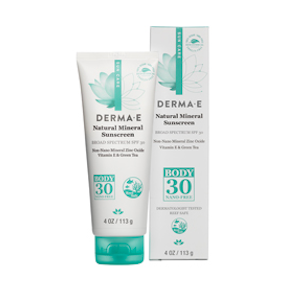 Switching to a chemical free sunscreen often reduces the irritating effects of prickly heat – Derma E’s Natural Mineral Sunscreen for the Body (£20) provides SPF30 without any chemicals.